Criminal Defense | Christopher M. Sierra, P.A. Charged With a Crime in St. Petersburg, FL? Getting charged with a crime can be a scary experience, but it doesn’t compare to being convicted of one. If you have been arrested or are facing charges for a crime in St. Petersburg, Florida, officers may use a range of tactics to try to get you to speak. However, it is important to remember that you have the right to remain silent and you are innocent until proven guilty. You also have the right to seek the advice of a criminal defense lawyer. Don’t just throw yourself on the mercy of the court – bring in Christopher M. Sierra to fight for your best possible outcome. 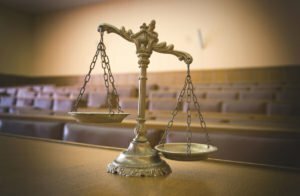 Mr. Sierra can help you navigate the tricky Pinellas County criminal court system, relying on a defense strategy geared toward achieving a satisfactory result. We’ll always keep your future and best interests in mind as we fight for your rights. You’ll feel much more confident heading to the courtroom with our legal team by your side. Ready to start building your case? Reach out to Christopher M. Sierra, P.A. Call our criminal law firm in St. Petersburg, Florida at 727-800-3489. 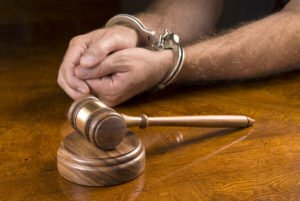 The consequences of a criminal conviction in St. Petersburg, Florida can be quite serious. Whether you are facing misdemeanor or felony charges, being convicted of a crime can mean jail time, a criminal record, fines, or other collateral consequences. A DUI charge can result in the loss of your driver’s license, a mark on your driving record, and increases to your insurance. Individuals with even minor criminal convictions can face difficulty in getting jobs, securing federal financial aid, or even face problems if they wish to travel to other countries. With the penalties so high, and so much at stake, it is important to have an attentive and qualified legal team on your side. The Sierra Law Firm is a St. Petersburg, Florida criminal defense lawyer who works closely with clients to help them get the best possible outcome under the law. If you’ve been charged with a crime, you have the right to receive the aid of a public defender. However, public defenders are notoriously overworked, some having to handle hundreds of cases at a time. In some instances, public defenders only have an hour at a time, or less, to review a case. Unfortunately, many individuals take plea deals, which may reduce the amount of time they spend in jail, but which could leave them with a permanent criminal record. The consequences of having a criminal record can be serious, from loss of voting rights, loss of ability to work in certain fields, and other major collateral consequences. If you are facing criminal charges, you need a criminal defense lawyer on your side in Pinellas County, Florida who will take the time to review the facts of your case, review the evidence gathered against you, and fight to have your charges dismissed or dropped. When you need dedicated criminal defense, you need the Sierra Law Firm. Our criminal law firm in St. Petersburg, Florida understands that this may be a frightening time for you and your family. We can demystify the criminal justice and court process to help you fight for your freedom and your rights. When you are facing criminal charges, it can be hard to feel like someone is on your side. The Sierra Law Firm understands that law enforcement sometimes makes mistakes and that many individuals are wrongfully accused. Our firm fights to defend those who are navigating the criminal justice system. We can also review your case to see whether you were racially profiled or arrested on wrongful grounds. Schedule a consultation with Christopher M. Sierra, Esq., criminal defense attorney to discuss the details of your case.